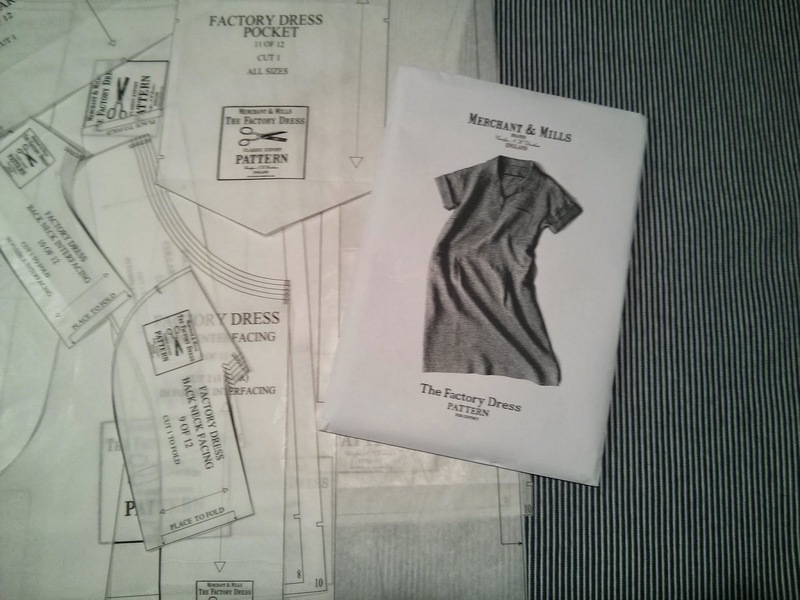 Here's my second Merchant & Mills project: the Factory Dress. 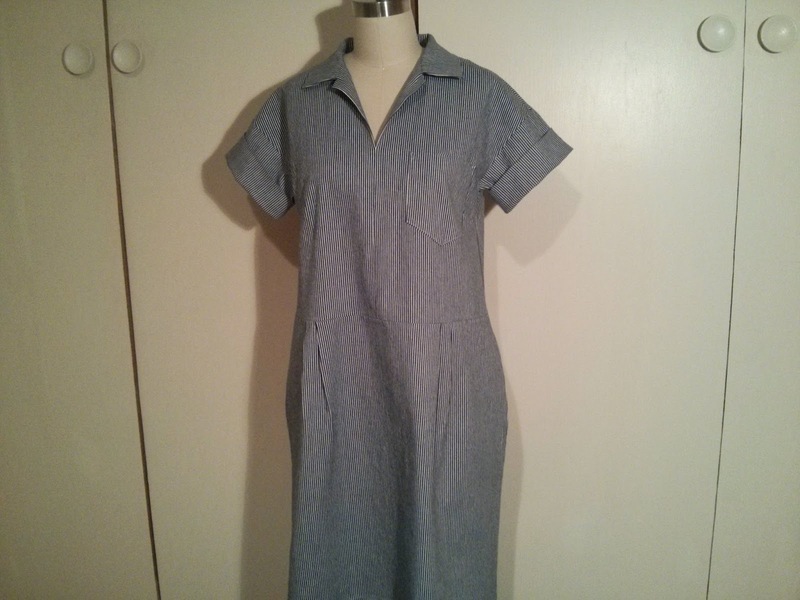 I love the easy wearability and style of this pullover dress. 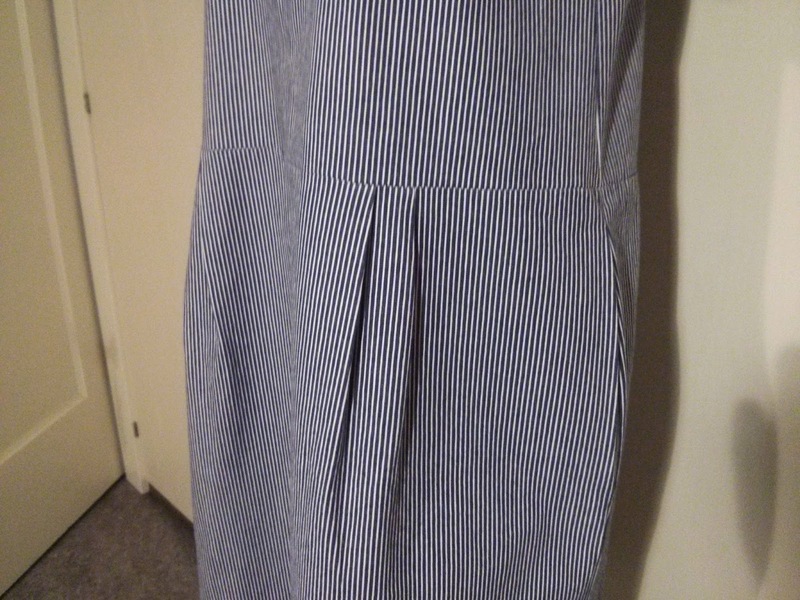 Plus, it has pockets! 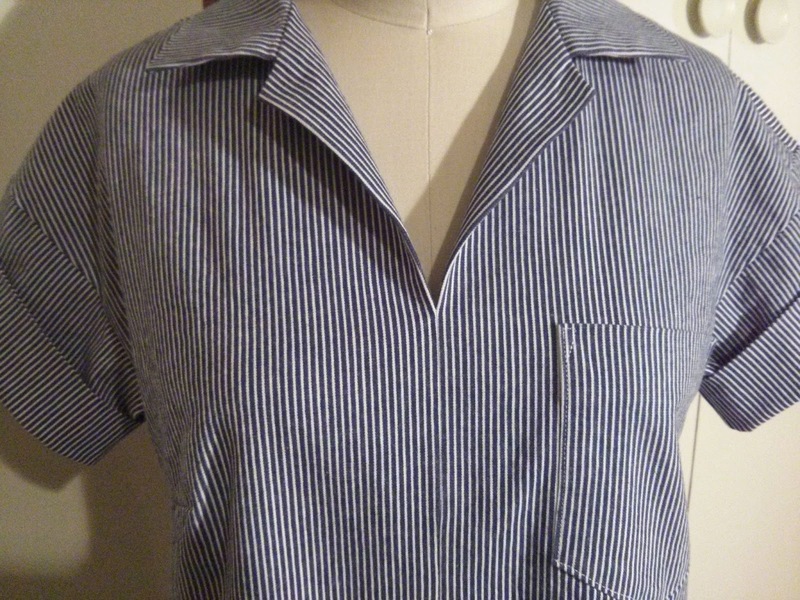 I used a striped railroad stretch denim in indigo stripe. Staring at it too long makes me dizzy! 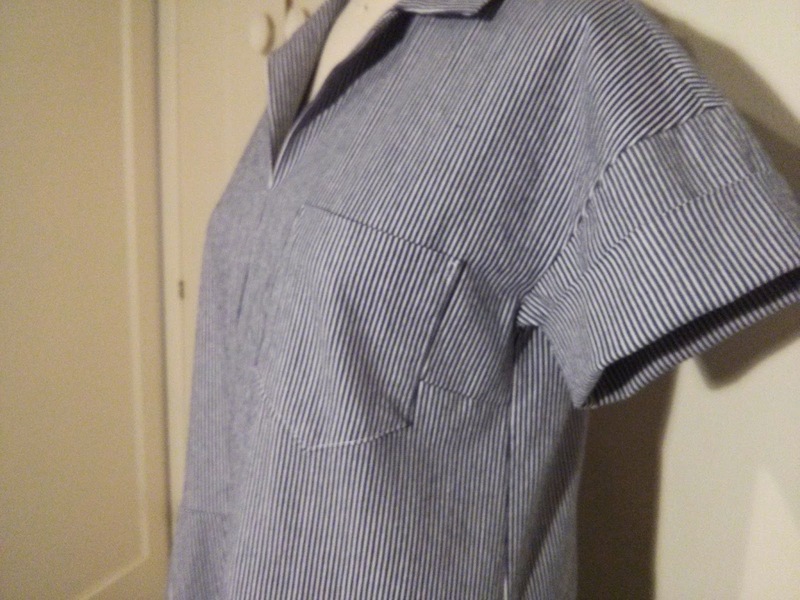 Like the Top #64, this pattern was very easy to follow and easy to sew. 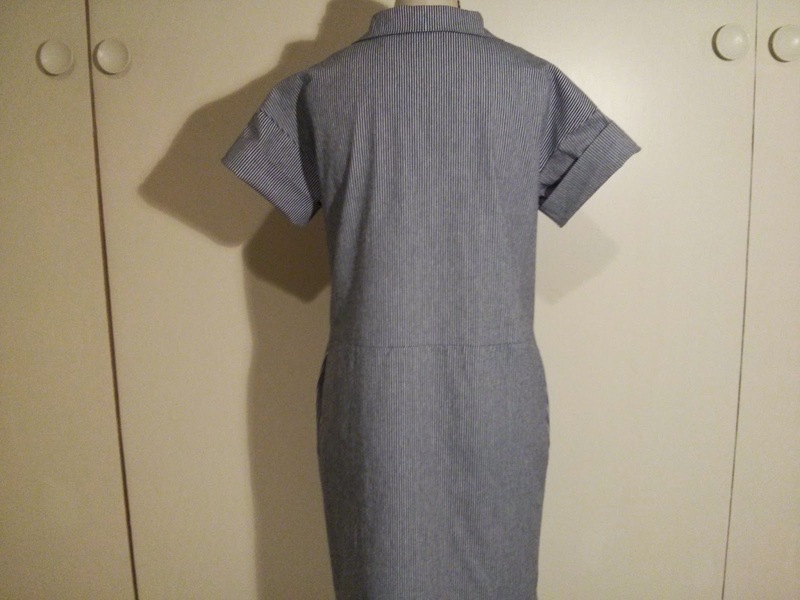 I did not have to make any modifications, though I did have some issues with my pattern layout and not having enough fabric. I think I lost some yardage doing the conversion from meters to yards and didn't make the appropriate adjustments. I was able to seam a couple of pieces together to make everything work out in the end. Seaming the center front was tricky with the stripes and I had to do it a couple of times to get them to alternate between blue and white. I almost made the front pocket in a contrasting fabric but decided against that and instead used some Liberty fabric for the inseam pockets. I can't wait for some warmer weather to wear this dress! Love this dress! 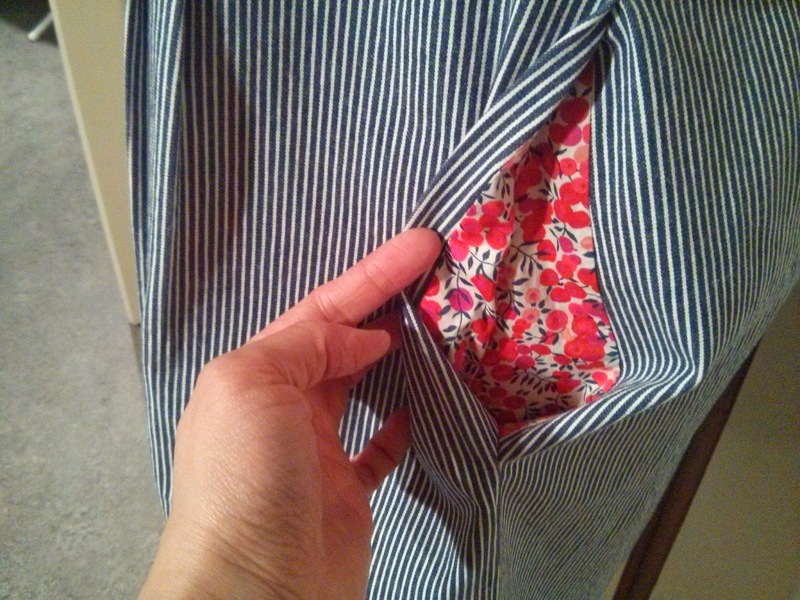 that pocket lining is awesome, too.